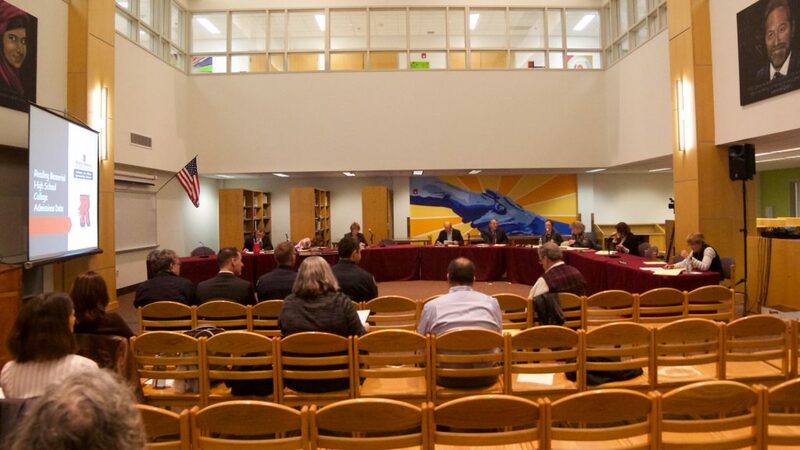 The School Committee, at the beginning of its November 1 meeting, reacted to another incident of graffiti at Reading Memorial High School (RMHS). The latest incident, this time involving derogatory language aimed at students of color, is the fifth such incident since October 12, according to Superintendent of Schools John Doherty. Previous incidents have targeted the LGBTQ community as well as the Jewish community. 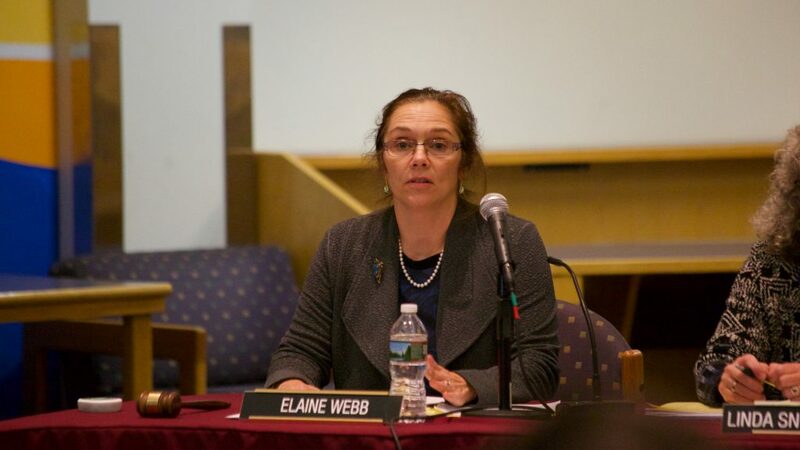 In a prepared statement, School Committee Chair Elaine Webb called the repeated incidents, “impactful and hurtful to all.” She implored the perpetrators to stop and shared, ”These words and acts are truly not who we are.” Committee member Linda Snow Dockser recalled accounts of persons who stood by, watching through windows, taking no action while neighbors were being harmed in Nazi Germany. She implored the students and residents of Reading not to be “the eyes in the windows” while these incidents are occurring. Doherty responded by stating that, “These [incidents] are real and we need to react together.” Webb concurred, “It is our responsibility . . . to act to stop these acts of hate.” Each member of the committee that was present echoed the thoughts expressed by Webb. She also encouraged the community to participate in a candlelight vigil to be held at RMHS on Saturday, November 3 at 6:00 pm. RMHS Director of Guidance Lynna Williams gave a presentation regarding her department’s work with RMHS juniors and seniors in preparing for college. Of the 269 students in the class of 2018, ninety-one percent are attending a four-year college this year. That is up from eighty-six percent the year before. Six percent are attending a two-year college, with one percent going to a preparatory or technical school. Three percent graduated to some form of employment. This includes student taking a “gap year.” Students from the class of 2018 are this year attending 103 different four-year colleges. Sixty-six percent of the members of the class of 2018 reported that they are attending their top college choice. SAT and ACT scores were on average higher for the class of 2018 than the previous year, though there were significantly fewer students taking the ACT than in previous years. SAT scores at RMHS are on average 35 to 40 points higher than the state average. Williams did note that test scores are becoming increasingly less important to colleges in determining acceptance. In past years students in advanced placement courses who took AP exams were not required to take final exams. This policy changed in 2018, and this may have led to a decrease in the number of students taking AP exams this past spring. Eighty-four percent of students scored a “three” or better on the AP exams, four percent higher than the previous year. Fifty-five students received an Advanced Placement recognition award, including two who were recognized as National AP Scholars. To achieve this recognition a student must get a four or higher on eight or more AP exams. RMHS Principal Kate Boynton reported that the self-study portion of the NEASC accreditation process has been completed and that the collaborative conference with the team visit will be on November 8. The self-study identified two areas of foundational growth for RMHS: a need for written documentation of the school’s core values and beliefs about learning and vision of the graduate, and the need for written curriculum guides in a consistent format for all courses in all departments. Three other areas of growth indicated in the self-study were for increased professional development, resources to fully implement the curriculum, and short-term and long-term plans to address capital needs of the building and facilities. Boynton indicated that the final area was surprising to her given that, “the building is clean and well-maintained.” Committee member Chuck Robinson also expressed concern over the point given that the building is only ten years old. Boynton suggested that the survey may have been administered on a warm day, and that dissatisfaction over some of the spaces in the school not being climate-controlled was expressed in the surveys. After the collaborative conference, a growth plan will be developed through the winter and implemented in the fall and winter of next year. A summary report is expected by the spring of 2020. 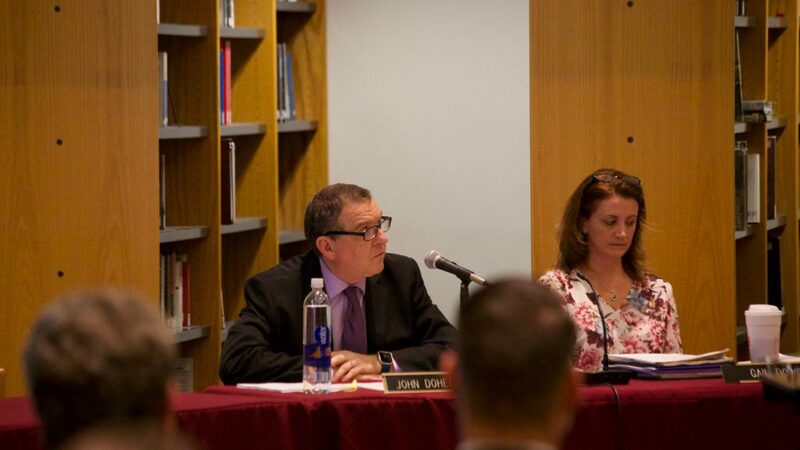 The committee voted 5-0 to approve changes to the Food Service Policy relating to unpaid meal charges. It also approved 5-0, the 2019-20 school calendar. The only change in the calendar is to move the half-day on the Friday before Columbus Day to the Friday before Martin Luther King, Jr. Day. This was due to feedback from the Reading Teacher’s Association. Doherty presented a memo outlining plans for the kindergarten assignment process. 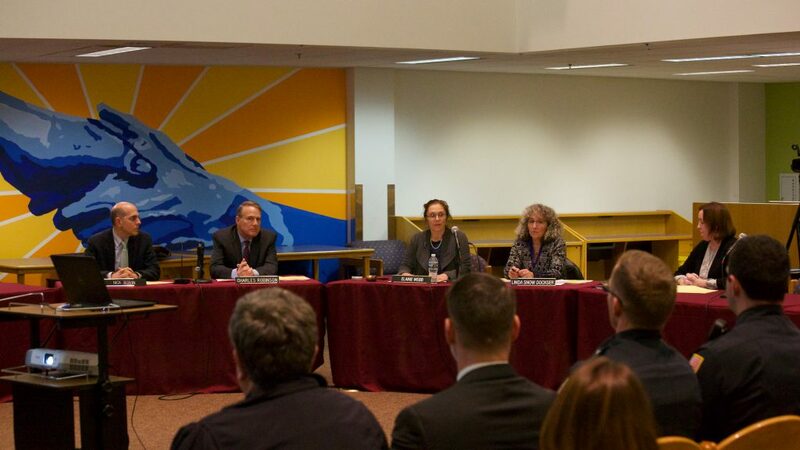 The process seeks to give guidance to families as to how placement works for their students and to “Efficiently use and effective utilize the spaces we have available.” Committee member Nick Boivin expressed concern that families may have a lack of access to their neighborhood school if they choose the half-day option, but admitted that the memo provided by Doherty was clear about the process. The committee will seek to add the process to its policies in the spring so that families can have access to it. The School Committee adjourned to Executive Session at 9:40 pm.